Start from the national capital, New Delhi. This metropolis has been the seat of power for centuries, during the Mughal reign and later, during the Raj. Sure enough, it is a treasure of monuments, a city-sized museum, if you will. Among the unmissable historical structures are the Red Fort, Jama Masjid, the Qutub Minar, and Humayun’s Tomb, a 16th-century Mughal wonder inspired by the iconic Taj Mahal. But Delhi is equally about global brands, chic cafes, art galleries and more. 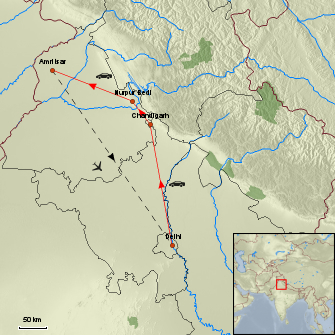 About 250km north is Chandigarh, the state capital of Punjab and Haryana. One of the best-planned cities in India, Chandigarh was designed by the famed Swiss-French architect, Le Corbusier. Broad, grid-like roads, lovely parks and a progressive feel are the hallmark of Chandigarh. 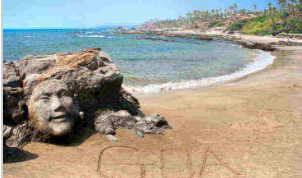 Worth a visit are spots such as the rock garden, consisting of sculptures and artifacts made entirely from scrap and waste such as bottles, glasses, ceramic tiles and so on. A former government employee, Nek Chand, started the garden secretly in 1957. Today, it is spread over 40 acres. The Sukhna Lake is nearby. Another garden, the rose garden, draws visitors for its over 1,500 varieties of roses. The various government buildings of Chandigarh, such as the Secretariat and Legislative Assembly, the multi-pillared High Court, State Library and University also possess beautiful architecture. Leave the city behind on our next stop, the Kikar Lodge. A luxurious retreat and spa nestled in the Shivalik foothills, it is India’s first private forest reserve spread over 1,800 acres. Apart from a host of adventure sports and activities, you can also try your luck spotting various birds and wild animals in their natural habitat, or get rejuvenated with a massage. The most important city in the Sikh faith, Amritsar is home to the gilded Golden Temple. Thousands of visitors and devouts from all faiths and backgrounds visit the monument every day to pay respects, perform seva (community service) and partake of the langar, a simple meal that is served free of cost to all. Nearby is Wagah border, the point where India and Pakistan’s guards perform in a highly evocative and emotionally-charged ‘lowering of the flags’ ceremony every evening. Being part of it is a great way of ending the tour on a high before returning to New Delhi. CHANDIGARH: Chandigarh is among the top destinations to see India at its absolute best. The city is clean, beautiful, glamorous and immensely cosmopolitan, and the food here is worth dying for (butter chicken anyone?) Each sector in the city is pedestrian-friendly with stunning boulevards, beautiful gardens and ample of lakes for added effect. The shopping here is great, and you always have all kinds of nightclubs, bars and restaurants to choose from. India’s first planned city does justice to its popularity, a standing symbol of peace and serenity in a country where major cities are always expected to be chaotic and noisy. Some of the top things to see and do here include the Rock Garden, Rose Garden, Sukhna Lake and a trip to the neighbouring hills for an overdose of nature. For a peek into the Indian culture, don’t miss out on a play at the Tagore Theatre. KIKAR LODGE (in Nurpur Bedi): The Kikar Lodge offers a rare opportunity to see the wild animals and birds in their natural habitat at dawn or by night. A small or large group can enjoy many outdoor sports ranging from cricket, volleyball, badminton, dart board, basketball, and water polo. Guests can also enjoy horse riding, buffalo cart rides or tractor rides if requested in advance.Staying at the Lodge, guests can go for a walk through the marked trails in the 1800 acres of our reserved forest. The area has more than 180 species of birds in the forest surrounding the Lodge. The Kikar Lodge will soon be opening up a private Horse riding academy. Guests can choose various options of horse safaris ranging from full day to overnight camping. AMRITSAR: The cultural centre of the Sikhs, Amritsar burst onto the international scene with the Golden Temple, a gilded wonder that has become a modern-day symbol of equality and brotherhood. The city is literally split into two – a beautiful old town with fascinating bazaars and medieval gates and a chaotic new city full of colonial boulevards, glittery hotels, and posh restaurants. Amritsar is also home to the humbling Jallian Wala Bagh massacre site. Today you will start your drive to Chandigarh, you can take the train, but this is such a lovely journey, especially with stops along the way for a Chai, stretch your legs and meet the locals, you will get some great photos shots. On arrival check in to your hotel…. 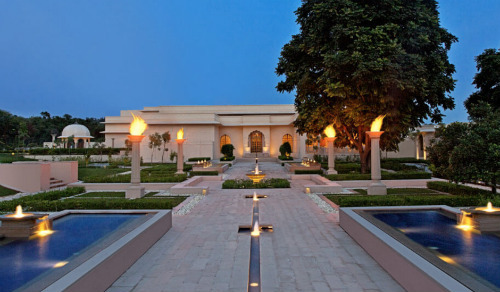 the rest of the day is to relax in this lovely new 5-star luxury Oberoi Hotel. After a leisure morning, proceed for a sightseeing tour of Chandigarh. Return to your hotel late afternoon, then at leisure. This is a lovely place to unwind for a few days, so if you can squeeze and an extra day in, then ask us to add another night to your tour. leisure day for spa treatments at this new 5 Star Oberoi resort. 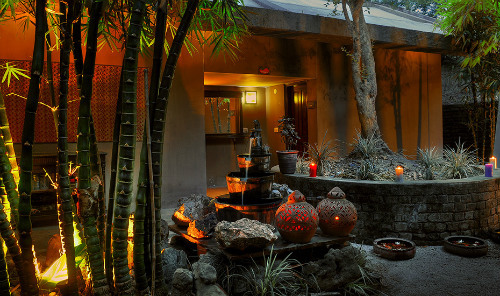 relax and be pampered at one of the best spa brands in India. After a leisurely morning, depart by road traveling into the foothills to the little district of Nurpur Bedi, the location of your retreat for the next few days. On arrival at leisure. Another leisure day, you will need it in preparation for the hustle and bustle of Amritsar and the Wagah Border ceremony. Alternatively take a half day tour of Anandpur Sahib is a city in Rupnagar district in the state of Punjab, India. Known as “the holy City of Bliss,” it is a holy city of the Sikhs and is one of their most important sacred places, closely linked with their religious traditions and history. 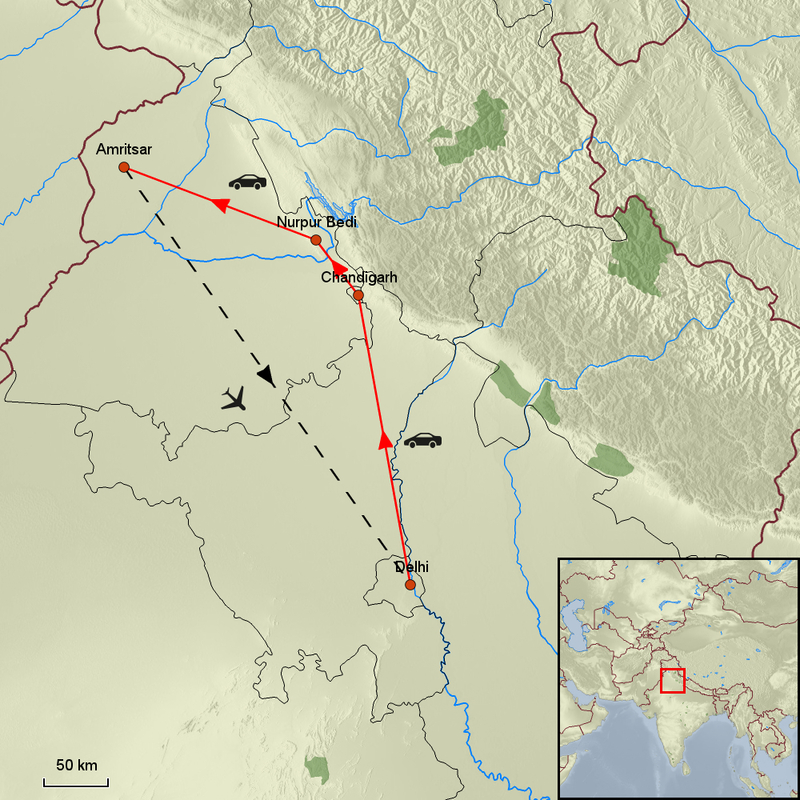 It is located on the lower spurs of the Himalayas surrounded by picturesque natural scenery, with the river Sudej forming a shimmering and shiny blue border on the south-west barely four miles away. After breakfast drive to Amritsar. On arrival at leisure until we depart for the border this evening for the flag waving, patriate shouting banter between Pakistan and India… such an experience to behold. If with to have a very early rise this morning we can take you down to the Golden Temple book unveiling ceremony. You can always witness the Book being put to bed this evening, but it can happen very late… the choices is yours. Apart from this, you are taken on a tour around Amritsar with your guide today. 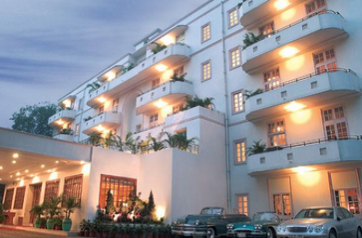 On arrival in back in Delhi, meet and transfer to your hotel. 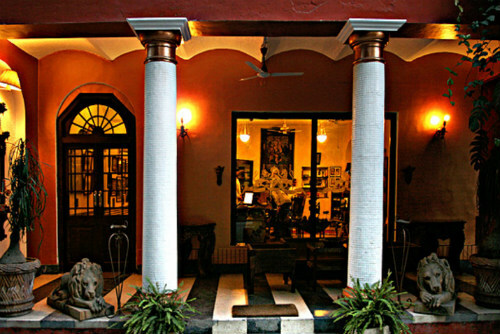 Your base for the next two days is Old Delhi at a lovely restored old Haveli in the old lanes of Chandi Chowkh. Leisure day to explore the old lanes on your own. Located in the Siswan Forest Range is a resort in New Chandigarh, surrounded by over 8,000 acres of protected natural forest at the foothills of the outer Himalayas. Harmonising traditional elements of Indian architecture, aesthetically landscaped gardens and beautiful water features, the resort has been designed so that guests can enjoy verdant views from every aspect. Its possibly one of the oldest surviving haveli in Amritsar with photographs hanging in the Time Corridor as far back as seven generations. Illuminated by the speckle of lights and incandescent candles, the atmosphere is best absorbed in tranquility. Haveli Dharampura gives you the opportunity to get a feel of the Mughal era through the architectural beauty of the Haveli teamed up with the amenities of the present age. 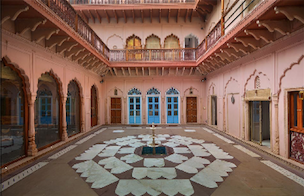 The Haveli now stands completely restored and reinstate the belief that where there is a will, there is a way. There is a renewed hope for the thousands of others Havelis in the lanes and by-lanes of Shahjahanabad.